Niclas Füllkrug (born 9 February 1993) is a German footballer who plays as a striker for Hannover 96. 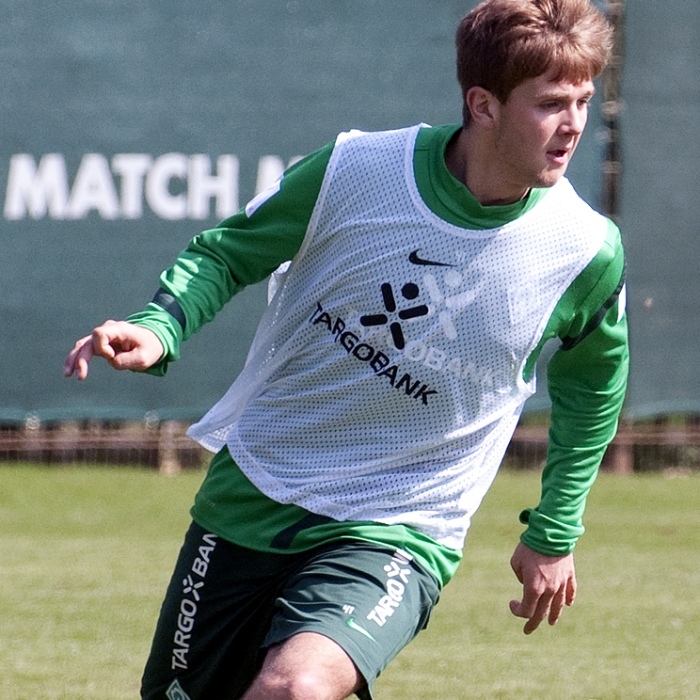 A youth player with Werder Bremen. On 24 August 2013, he joined SpVgg Greuther Fürth on a one-year loan deal. On 2 November 2013, he scored four goals for his new club during a spectacular 6-2 away win at Erzgebirge Aue. He joined Nuremberg permanently to get regular first team football. Füllkrug joined Hannover 96 in July 2016. He failed to score in his first 8 Bundesliga appearances for Hanover but hit a hat-trick against Mainz in a run of goals that got his name mentioned with a call up to the German national squad.